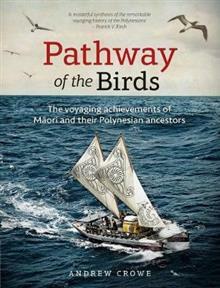 Andrew Crowe has produced a masterful synthesis of the remarkable voyaging history of the Polynesians. Prof Patrick Kirch, Chancellor's Professor Emeritus and Professor of the Graduate School at the University of California at Berkeley. This book casts light on a neglected epoch of world history, one that saw Polynesians expand their territory across the world's largest ocean. Author Andrew Crowe has been collecting the research of a wide range of specialists for many years, assembling it as if the individual findings were pieces of one enormous jigsaw. From this broad focus has come a deep admiration for the skills, resourcefulness and courage of the people that drove this extraordinary feat of maritime exploration.